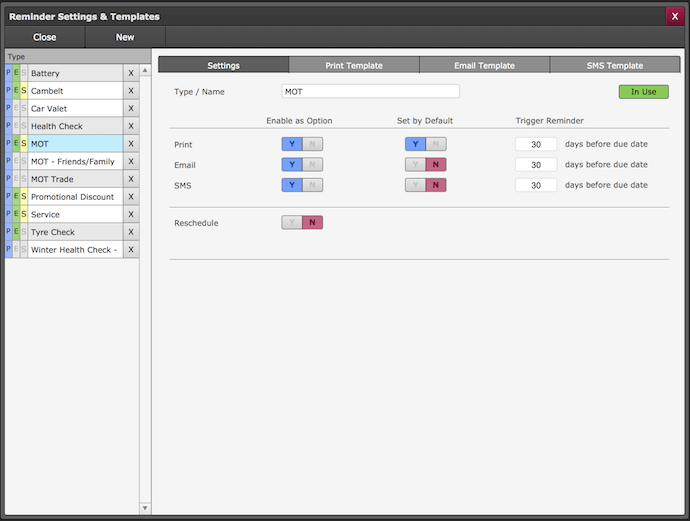 When setting up templates it depends on what method you have selected for output as to what templates you will need to set up. 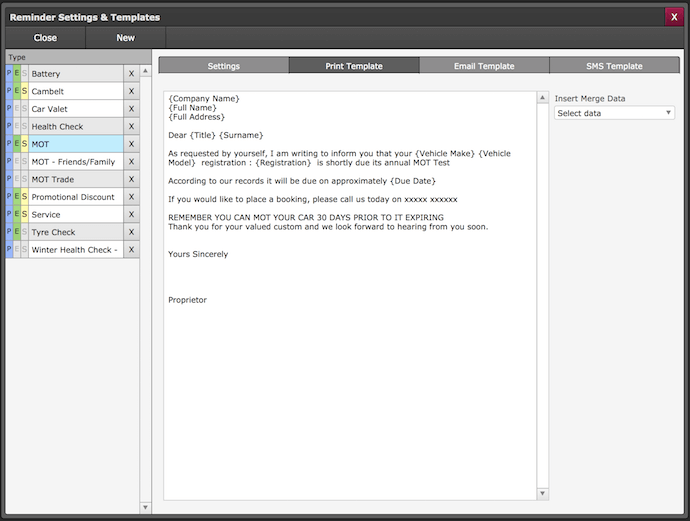 You can preview your email as well to check that the additions made are displayed correctly. 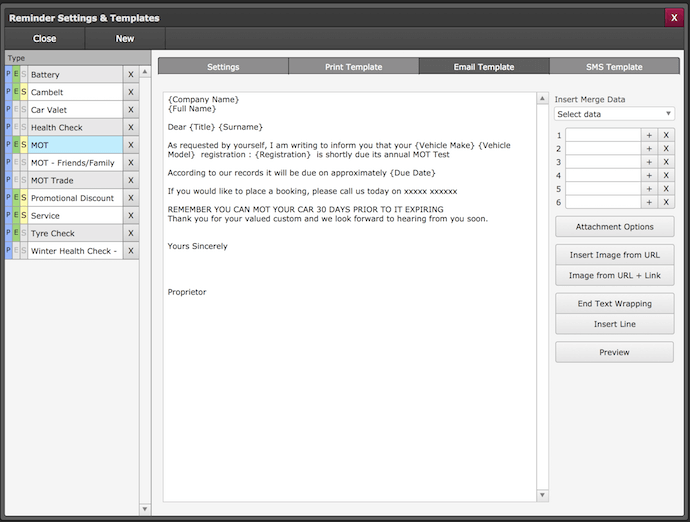 Additional options are also available for Email templates, click here for more info. When adding an SMS template you have to bare in mind that it is just that, a text message. So keep things short and sweet. 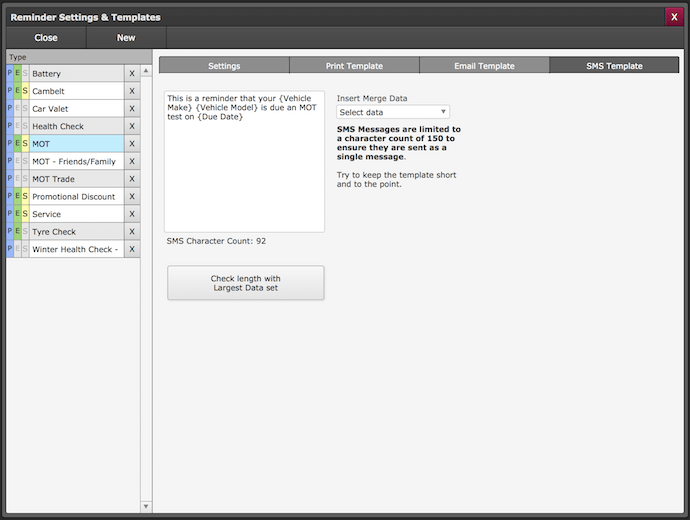 Again as with the rest of the templates, if you want the message to auto generate details from the database use the pre-defined options list (Insert Merge Data). You can also check the length of the message against your database to ensure the merged data does not push it over the single SMS limit.